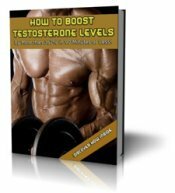 Testosterone Patch Side Effects! Male Hormone Patch Benefits! Up until recently, T injections were the most common way this hormone was administered. Over the last 10 years, several other methods have hit the market which are rapidly growing in popularity. These products have one major drawback! About 30% of all users report some sort of discomfort. The Testoderm patch, which is applied directly to the testicles is probably the most uncomfortable of all. The Androderm patch can be placed anywhere, so you can avoid areas with hair, which makes removal a much less painful experience. Some men who use the Androderm patch have an allergic reaction to the adhesive, and develop a rash on the application site. Another drawback is that most brands have to be worn for 24 hours and then immediately replaced with a new patch. If I had to choose between the two products listed above, I'd go with the Androderm. Here are some of the most common.. The patch does work for some men, but due to the drawbacks listed above, I'd recommend other options. Follow these links for additional information. Testosterone replacement therapy should be your last resort after all other options have failed. Direct T supplementation will shut down your body's natural production of testosterone. It will also cause testicular atrophy and other side effects. If that is not possible, then go ahead and begin testosterone replacement therapy, as the benefits will outweigh the side effects in your situation.